The team behind Brooklyn’s Barclays Center—Forest City Ratner and SHoP Architects—will join forces again to overhaul the run-down Nassau Veterans Memorial Coliseum in Uniondale, Long Island. 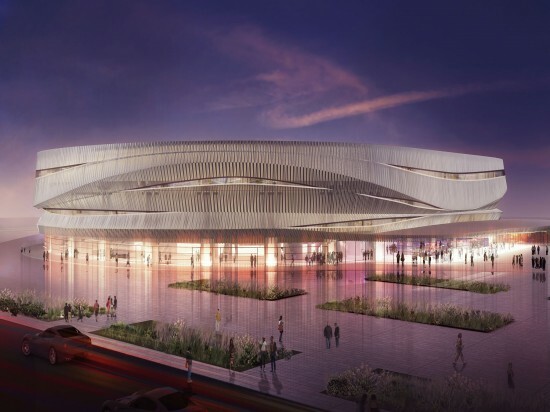 The developer beat out the competition, Madison Square Garden Co, and took home the prize: the commission to manage and rehabilitate the 41-year old crumbling arena that has been home to the Islanders since the hockey team was first founded in 1972. The Islanders will be moving their franchise to the Barclays Center in 2014. The Wall Street Journal reported that Bruce Ratner expects the entire renovation will cost an estimated $229 million, but will require no public funding. The rent from the arena, along with ticket sales and other deals, will generate roughly $195 million over the period of its 34-year lease. Madison Square Garden, however, projected that they would raise $112 million within the same timeframe. The proposal calls for slashing 5,000 seats from the arena and for a new undulating facade designed to emulate the landscape of Long Island, with visual references to the dunes, beach fencing and boardwalks. 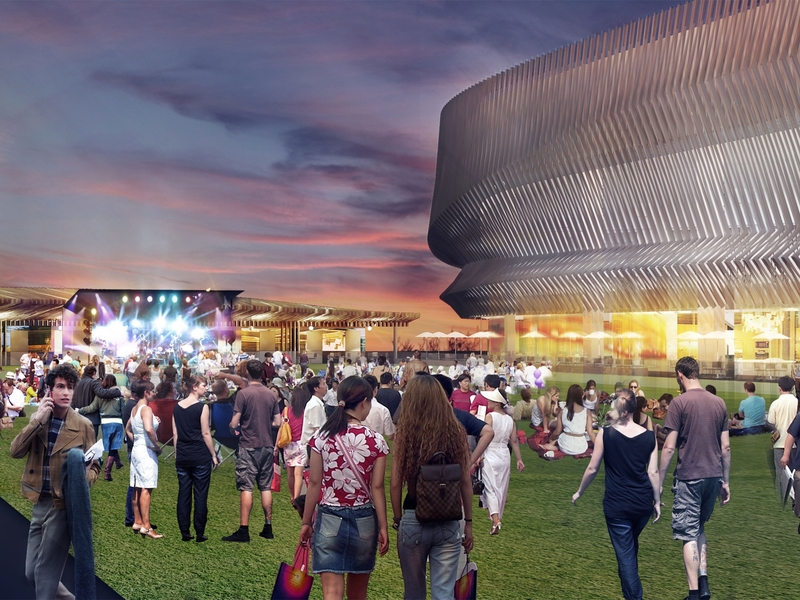 Ratner also plans to add a new plaza, theaters, restaurants, and bowling alley, and outdoor concert venue to the 77-acre site.